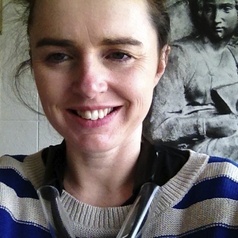 Clare Monagle is a graduate of Monash and the Johns Hopkins Universities. She received her PhD in 2007. She is broadly interested in history of intellectuals in the Middle Ages, as well as the histories of the institutions that housed them. Her work is also concerned with the “medievalism” of twentieth and twenty-first century thought, that is, the uses to which the concept of the medieval is put within definitions of modernity and progress. She has published articles in Viator, Parergon, postmedieval, Culture, Theory and Critique, Medioevo and The Journal of Religious History. In 2013 she published Orthodoxy and Controversy in Twelfth Century Religious Discourse: Peter Lombard’s Sentences and the Development of Theology, with Brepols. She is co-editing, with Dr Juanita Ruys, A Cultural History of the Emotions in the Medieval Age, to be published by Bloomsbury. Clare is an Associate Investigator with the Australian Research Council funded Centre for the History of Emotions. With Diana Barnes, Barbara Caine, David Garrioch, Carolyn James, Constant Mews and Pauline Nestor, Clare is a Chief Investigator on the Australian Research Council funded project ‘Continuities and Change in the History of European Women’s Letter-Writing’. In 2013 she was the recipient of Australian Research Council Discovery Early Career Award. He project is titled ‘Sexing Scholasticism: Gender in Medieval Thought ‘.